Flowers serve as a beautiful gesture, a way to beautify our world, and offer many practical uses in everyday life. We probably take them for granted to some extent, but could you imagine a world without them? It would definitely be a lot more drab, dull planet earth. Since you come into contact with flowers every day -- whether it's in a shop window, outside in gardens, or even wildflowers in the ditch beside the freeway -- you probably don't often give them a second thought. But when you take a moment to think about it, they're really quite the blessing. We've taken a look around the web and compiled 8 facts about flowers that we think you'll find pretty interesting. Is it true that Poinsettias are poisonous? Though it makes for a good urban legend, the truth is that, no, eating Poinsettias will not kill you. They might make you a little nauseous, but so might eating any number of non-edible flowers (hence the 'non-edible part.) 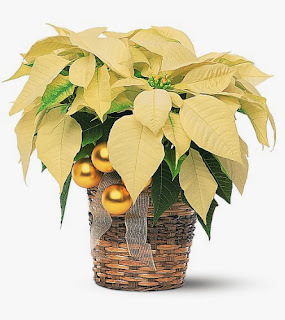 There's no accurate report of how this myth started, but we assure you that although we don't recommend it, you will not die from eating a Poinsettia petal. What flowers DO we eat routinely? Remember when your mother told you to eat your broccoli? You might not have known that the broccoli we eat, would you believe it, is a flower. The green "heads" on the broccoli are the bud form, and if left to grow further, blossom into yellow flowers. Now, does that make you more or less likely to eat your veggies? There are also hundreds of types of flowers and greens that are edible, and some trendy 'foodie' restaurants have made their names off of serving these. But if they offer you Angel's Trumpet, decline: it's one flower that is highly, highly poisonous. Some types of Lilies are also known to be very toxic to animals, so keep an eye on your pets. How many species of flowers exist, anyway? Currently there are thought to be about 2.5 million different flower species. Keep in mind that new crosses are being developed all the time, and there are often new naturally-occurring flowers being discovered in remote areas with little human contact. What's the world's largest flower? It's called Titan Arum, but is more commonly referred to as The Corpse Flower, for their penchant to raise a stink whenever they bloom... literally. By all accounts, the blooming of this plant causes a terrible smell. Luckily it doesn't happen too often: the Corpse Flower commonly takes about 8 to ten years to bloom. It can grow over 6 metres tall (20 ft.), and one recently bloomed in St. Louis if you'd like to read more. The centre of every sunflower blooms in the exact same pattern, and there is a math equation that explains this. The largest flower 'family' in nature is the Orchid, of which there are about 25,000 variations. Daisies got their name as a shortened version of "Day's Eye," because of the fact that they close overnight and open into beautiful blossoms during the day. The fleur-de-lys, an emblem of Quebec as well as Cajun culture, is a stylized Iris, despite its name, which translates in English to Lily flower.